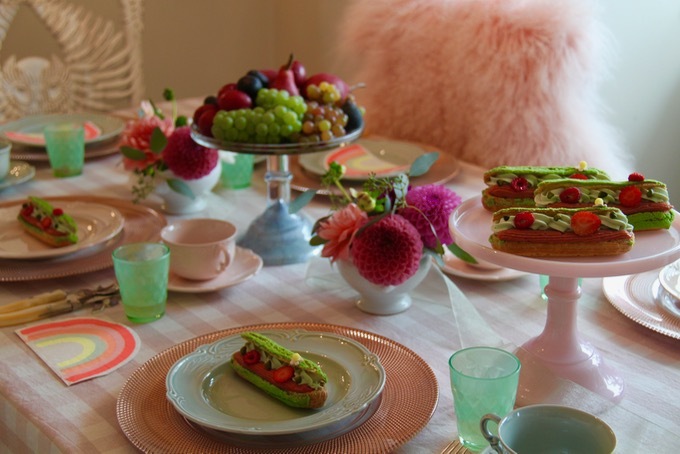 I Love the classic combination of Pistachio and Strawberry. This is exquisite — Sweet and intense strawberry flavour will burst from inside. 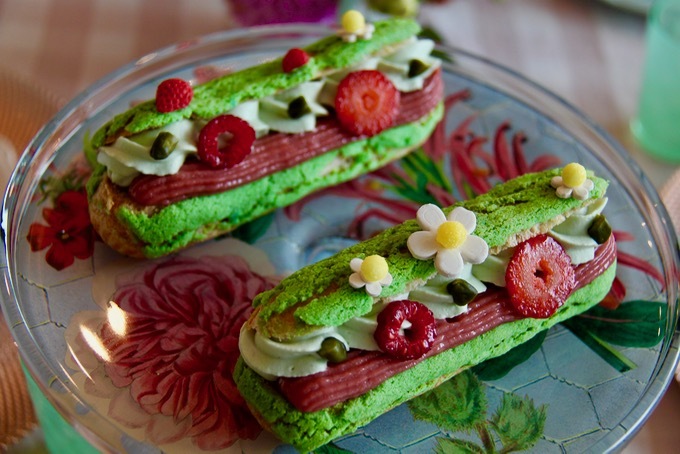 Hands on style French Pastry Lesson, followed by Eclair tasting with selected tea. 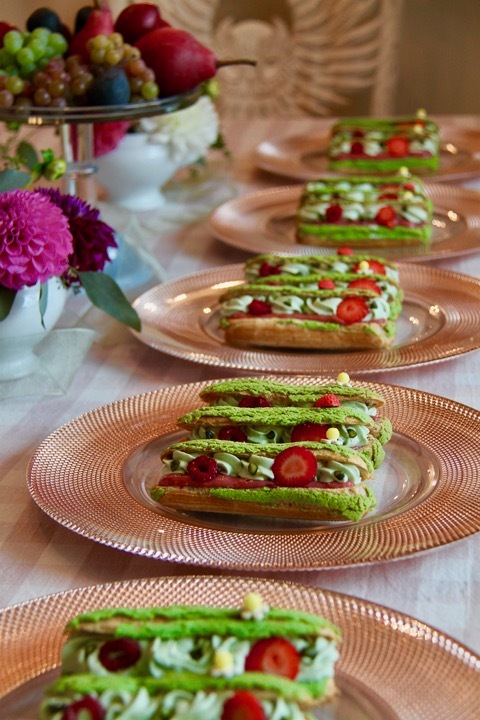 Strawberry – Pistachio Eclairs to take home.